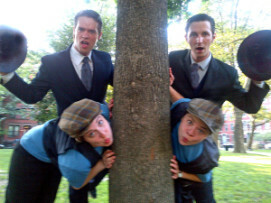 The Hudson Shakespeare Company of New Jersey will perform the second of three Shakespeare productions at the Stratford Library with “The Comedy of Errors” on Saturday, July 28 at 2 pm. The company returned to Stratford for its seventh annual season last month with a program of three plays. The theatre program is free and open to the public. “The Comedy of Errors” follows Antipholus of Syracuse and his trusty sidekick and good buddy Dromio as they arrive in the exotic and mysterious city of Ephesus in search for their long lost relatives. At birth both Antipholus and Dromio were separated from their twin brothers. Little do they know that their twin siblings, also known as Antipholus and Dromio, live in town and soon the boys from Syracuse are mistaken for their siblings. Mistaken identities are compounded as the brotherly pairs mistake each other, incorporate local merchants, nuns, Dukes and a strange "doctor" as the hilarious mistakes reach a comic climax. The Hudson troupe takes the absurd farce from its ancient Greek setting to 1940's New York with a Looney Tunes edge. "The show’s over-the-top and frenetic comic pace lends itself to a cartoon like setting", according to director Michael Hagins. Hudson is in its 21st season of traveling Shakespeare. The final play in the series this summer will be a special presentation of Shakespeare’s “lost play”, “Cardenio” on August 11. Patrons should bring a lawn chair or blanket to spread in the amphitheatre prior to the 2 pm show time. In the event of rain, performances will take place in the library’s air-conditioned Lovell Room. For further information, call the Stratford Library Public Relations and Programming Office at 203.385.4162 or visit: www.stratfordlibrary.org. On Saturday, April 28th, beginning at 6:30 pm, the Stratford Library will be transformed for the night into a glamorous showcase for singers direct from Broadway, as well an elegant buffet of hors d'oeuvres, desserts and drinks for 200 guests. Presented by The Stratford Library Board of Trustees, the ninth annual “Broadway Comes to Stratford” will have a “Celebrate the 1950s” theme. Nostalgic "Fifties" attire is encouraged (but optional), and rumor has it that library director Barbara Blosveren will be sporting a classic poodle skirt. All proceeds will benefit the library’s book collection. The evening will feature top-notch entertainment by Broadway singers Matt Cavenaugh and Jenny Powers. Recently married, the couple has just produced their debut album, “Gonna Make You Love Me”. Cavenaugh was seen in the Broadway productions of “Grey Gardens”, “A Catered Affair”, “Urban Cowboy” and “West Side Story”. Powers was featured in Broadway’s “Grease” and “Little Women” as well as the television series, “The Good Wife” and “Nurse Jackie”. In a separate "venue" in the Library's building, singers Dan Micciche and Dave Anthony Vogel will perform a medley of Broadway selections, new and old. Mr. Micciche was most recently featured in the Broadway production of “Chicago” and has a host of local and regional theatre credits. Mr. Vogel has recently performed in Chicago The Musical (Mary Sunshine). International/National Tours include Chicago The Musical and Click, Clack, Moo (TheatreworksUSA). Stratford pianist David Childs will perform in the main lobby during intermission breaks. A cocktail buffet of delicious edibles and fine desserts with an open bar will be catered by Events of Distinction. The Event Decorators of Bridgeport will provide a variety of magical balloon creations for the benefit. Vacation prizes and entertainment packages will be included in a special silent auction. Event co-chairpersons are Robyn Proto and Doreen Jaekle of Stratford with committee members Barbara Blosveren, Sheri Szymanski, Judith Crudo, Shelley Hall, Cynthia Smith, Maria Ferrera, Karla Glad, Paula Nizzardo, Heather Silverman, Jim Duffy, Tory Florek and Tom Holehan. The Honorary Chairman for BCTS is Mayor John A. Harkins. This year's sponsors presently include John and Beth Morgan, TD Bank, People's United Bank, The Milford Bank, United Illuminating, Southern Connecticut Gas, Bishop, Jackson & Kelly, Stratford Development, Aquarion Water Company and Berchem, Moses and Devlin. Tickets for the event are available in three separate categories: Supporting Cast ($75), Director ($100) and Producer ($150). Contributions are tax deductible to the extent allowed by law. Attire is 1950s or semi-formal. Seating is limited and reservations are required by calling the library at 203.385.4166. 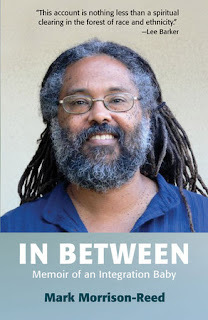 On Friday, April 20, the trailblazing minister and author Dr. Mark Morrison-Reed will discuss his autobiography, "In Between--Memoir of an Integration Baby" at the Stratford Library, from 7 to 9 pm. The event is free and all are welcome. This special community book club reading and discussion is co-sponsored by the Unitarian Universalist Church of Greater Bridgeport (UUCGB) and the Stratford Library. Morrison-Reed, a Unitarian Universalist minister, will provide a personal account of growing up black during the era of the civil rights movement as he wrestled with the emotions of racism, black radicalism, the death of Dr. King, and his own interracial family and experiences as one of the first black ministers in a predominantly white denomination. He gives voice to unspoken stories of African Americans who were among the first to bring racial diversity to their neighborhood, school, church, or workplace, and who were in interracial relationships or trying to raise interracial children in a polarized world. UUCGB has donated copies of In Between to the Stratford Library that are available for check-out. The book may also be ordered from Beacon Press or online through Amazon.com. The author will sign personal copies at the April 20 reading. The community book discussion kicks off a weekend of public presentations by Morrison-Reed that are being sponsored by UUCGB in celebration of its 175th anniversary year and Unitarian Universalism’s historic dedication to the principle of social justice. Morrison-Reed will also present a workshop at the Library on Saturday, April 21,and will preach at UUCGB’s Sunday 4:30 p.m. service at First Congregational Church on April 22 (2301 Main St., Stratford). Everyone is welcome to participate and attend all of the weekend's events. For more information, call UUCGB at (203) 378-1020. The Stratford Library and C.A.R.E. (Citizens Addressing Racial Equity) welcome Secretary of State Denise Merrill in a special meet and greet session in the library's Lovell Room on Wednesday, March 14, from 5 to 8 p.m.
Denise Merrill was elected as Connecticut's 73rd Secretary of the State on November 2, 2010. First elected to the General Assembly in 1994, she rose to the rank of House Majority leader from 2008-2010, the second most powerful position in the Connecticut House of Representatives. In 2009, Ms. Merrill was named by her colleagues in the legislature as "Most Respected by the Other Side of the Aisle" and "Most Effective Legislator" in a poll done by Connecticut Magazine. She is a former teacher and a classically trained pianist. Current voter registration and ballot information will be available at this CARE event on March 14. If you are unable to attend the event at the library, the website for Project Vote Smart outlines the many ways you can register to vote, including by mail and online. 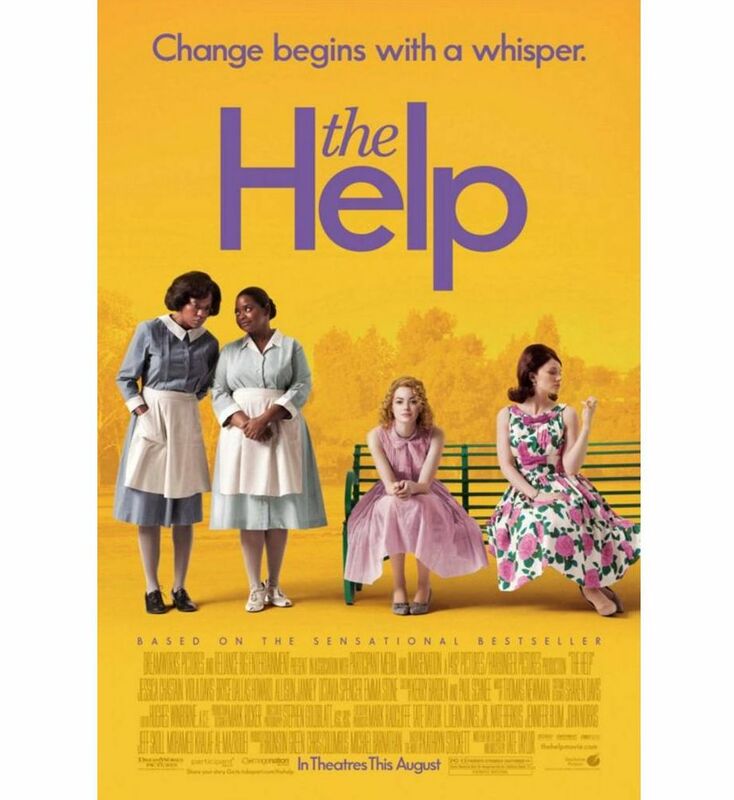 The Stratford Library continues its monthly film series with The Help, based on the bestselling novel by Kathryn Stockett and the recipient of many nominations at the Oscars. Movies are shown uncut on widescreen. Complimentary snacks will be served. Join us at 7 p.m. tonight, March 9, in the Library's Lovell Room. In 1960s in Mississippi, aspiring writer Eugenia Phelan (Emma Stone) crosses taboo racial lines by conversing with Abilene Clark (Viola Davis) about her life as a housekeeper. Their ensuing friendship upsets the fragile dynamic between the haves and the have-nots. 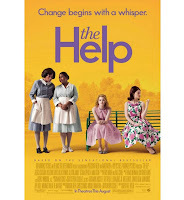 Filled with poignancy, humor and hope, The Help is a timeless, universal and triumphant story about the ability to create change. Octavia Spencer won the 2012 Oscar for Best Supporting Actress for her portrayal of feisty, defiant and determined cook Minny Jackson. The film as a whole was honored in this spring's film awards presentations, garnering multiple awards at the Golden Globes, the Screen Actors Guild, the BAFTA awards and more. 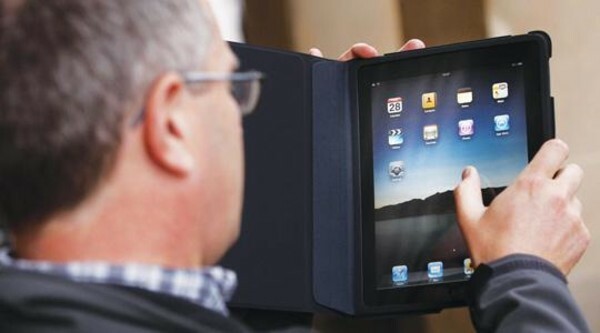 Are you a newbie with the Nook? Do you find the Kindle kinda confusing? Does your iPad make you i-Rate? The Stratford Library has set new dates for our popular "Technology Sandbox" sessions, a series of open-house, hands-on help sessions for people who are just getting started with downloading library materials onto portable devices. Library staff will be on hand to help you get comfortable with and learn how to use these new devices. Bring your e-reader or your tablet computer to one of the sessions listed below. We will show you how to get yourself set up for reading and downloading library materials for free. Laptops are invited too! Bring your smartphone or mobile device -- they can download library materials also! If you haven't committed to purchasing one of these devices yet, come try out ours -- we have sample devices for you to "test drive." All sessions are in the Stratford Library's Lovell Room. It's an open house format, so just drop by. Tues., Jan. 24, 5 to 7 p.m. Mon., Jan. 30, 10 to 12 p.m. Thurs., Feb. 2, 3 to 5 p.m.
Friday, Feb. 10, 10 to 12 p.m. Thurs., Feb. 16, 3 to 5 p.m.
Tues., Feb. 21, 5 to 7 p.m.
Tax forms are no longer mailed to your home automatically. The post office no longer carries tax forms. What is a person supposed to do? 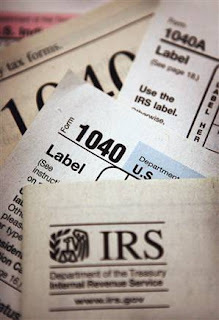 The Stratford Library is your source for federal and Connecticut tax forms. This is just one of many public services we provide as the hub of the community and Stratford's information center. We have the most frequently used federal and Connecticut forms and instruction booklets available in our lobby (while supplies last). If you require an unusual form that is not on display, come to the Reference Desk and we will help locate it for you. The Stratford Library -- serving the public's information needs cheerfully, efficiently and economically since 1885. Stratford Library blog is written by the staff at the library.